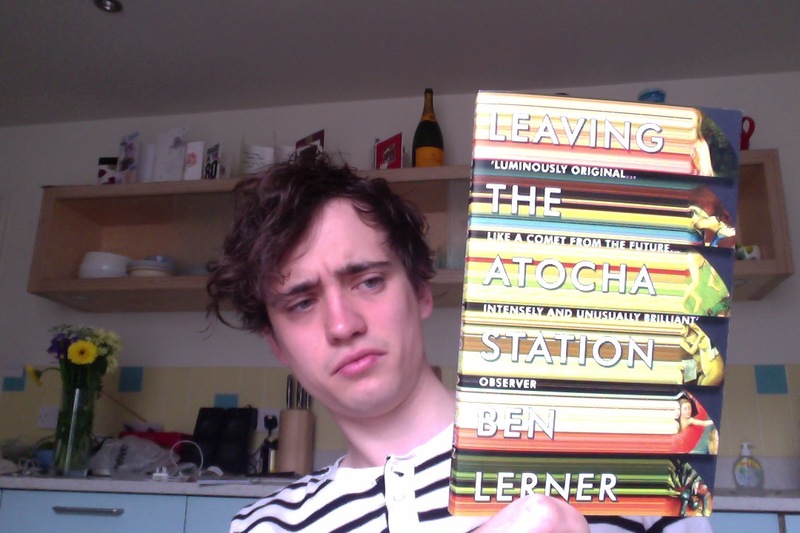 Leaving the Atocha Station is a recent novel written by a young American poet who spent a year living in Madrid as part of an academic fellowship. It is about a young American poet spending a year living in Madrid as part of an academic fellowship. The year in question is not made clear until the final third of the text, when a major terrorist attack occurs on the Madrilenian metro system. I mention this in the opening of my review because it is highly important to the tone and pace of the piece as a whole. Adam Gordon, the protagonist, is a self-obsessed, self-important depressive… He is constantly indulging (?) in an array of drugs – the tranquillisers and anti-depressents he brought with him in bulk from America, the anally-smuggled hash he buys from the tourist dealers in the park, the strong weed he’s occasionally given at parties and as much caffeine, nicotine and alcohol as he can get his hands on. He also avoids “reality” through the frequent lies he tells about himself, his friends, his family, his wealth, his life and his experiences… Adam is a witty narrator, yes, and a flawed, denying, character. In denial about his Spanish fluency, in denial about the realities of his love life, in denial about the lack of shame he feels at not doing any of the research his fellowship has been awarded for. He falls in with an affluent, Artsy crowd of locals and has a life he both ascribes and denies perfection to. Rooftop smoking and reading, hours-long gallery visits, mansion parties, spur-of-the-moment trips to other Spanish cities… Spain, Madrid, his fellowship, is an idyllic trip to somewhere both more and less real than the rural America he grew up in. The novel details his search for… not a search for experience, or for self (it’s not a picaresque pastiche of a “coming of age” novel), but a want to understand more than he has previously been able to. A wish to feel validated in being a poet, a wish to both be more than and simultaneously the epitome of the “American abroad”… He is a character full of inconsistencies (I don’t mean is written badly, far from it), and it is a novel full of deeply moving passages. At one point in the novel Adam speaks, online, to a friend in Mexico, who recounts a haunting tale of witnessing a woman drowning and his failed attempts to revive her with CPR. This passage is then subsumed into Adam’s narrative – he takes the anecdote as his own, embellishes it, remembers images from it along with other important, tragic, moments of his own life. As his anxiety increases, as the terrorist attack occurs, as he is aware that he is living through something momentous, everything is momentous, he is dislocated, disconnected from it… There is no resolution, there is no other side. His tablets and his smokes and his drinks are less a barrier, he states, than a heightening of the detachment he has always felt. Which, I found, a beautifully relatable notion. A good read. I laughed, I cried, I thought, I learnt. Lots of insightful quasi-essays on poetry and art. I’d recommend.